Fine Art Autumn Textures for digital artists, illustrators, photographers, designers, and scrapbookers. Each texture was hand-painted in Photoshop by me. These are not photographed textures but may be used with photographs. I chose this collection for their autumn color and texture range from fine subtle texturing to thicker painterly strokes. 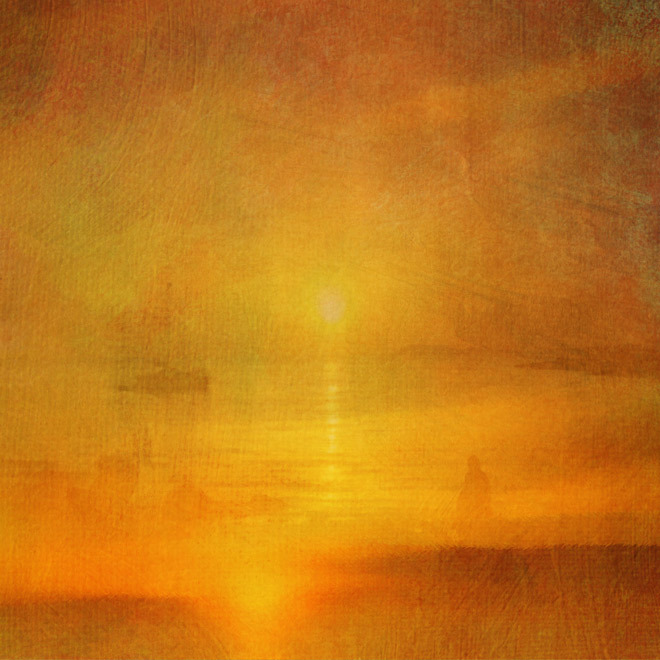 Texture 11 was used with the sunset mixed media piece. I hope you find these textures useful and welcome your feedback. Feel free to use them in your personal or commercial work, no attribute necessary. Share this post with every artist, photographer, illustrator, and designer who needs these. Please do not sell, use as is, or claim as your own, but do Tweet about these free textures, email a link, Pin it, link to this post in your own blog or website. Have Fun! Jean, Your artwork is awesome! Your textures are beautiful and I thank you for the opportunity to work with them. You are very generous to offer these also.